I've been listening to the recently-acquired Schumann Symphonies with Hanover Band/Roy Goodman - particularly the "Rhenish", my favourite. Well; there's a lucidity of texture and you can really hear those instrumental groupings BUT there's a somewhat rigid tempo which makes it rather metronomic and a little on the cold side. I guess I can't have everything (stamps foot; why not?). I still like the Klaus Tennstedt on modern instruments, despite the density, because that flexibility and warmth is there. I know Schumann didn't apply that moniker to his 3rd symphony, but when I was last in Bonn I stood beside the mighty Rhine and my head was full of "daa daa, daa daa-daa da daa-daa-daa dah,....". Thank you, jserraglio. I don't remember those, and I didn't see them available on CDs. 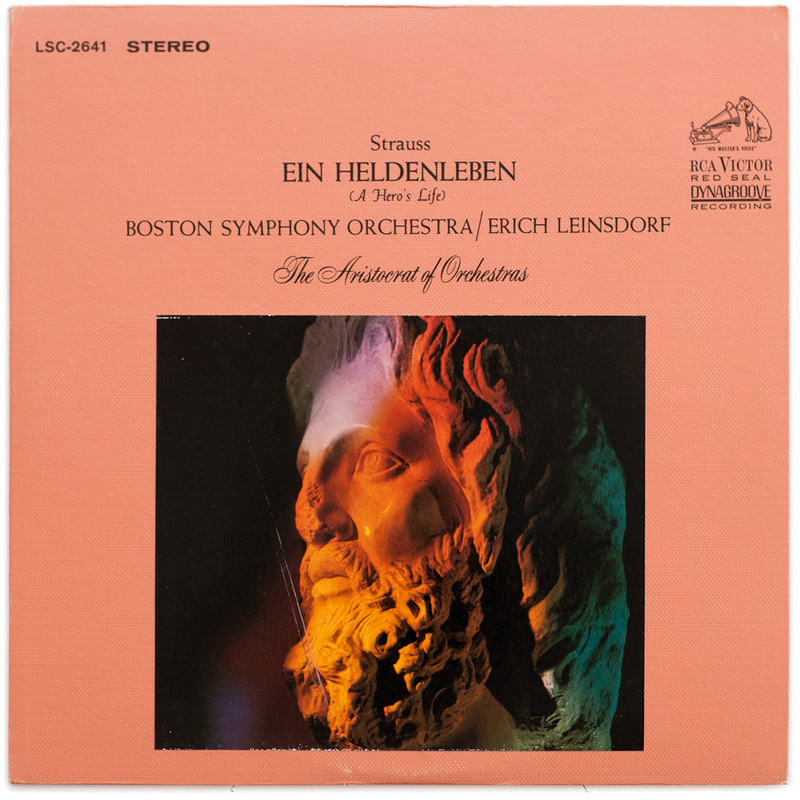 Leinsdorf was, IMHO, a very strict Toscanini-style conductor, who occasionally chose a slightly wrong tempo (see his Mahler III, last movement), but I generally like his music-making and might have enjoyed his Brahms Symphonies if the Boston orchestra had been better in those days. His Brahms Second Piano Concerto with Chicago/Richter still finds its way into my CD player quite often. The Brahms 2nd has been remastered and reissued by HDTT. The others TMK have not been (except maybe in Japan?) but should be. Leinsdorf was an excellent conductor of this composer. I just encountered a live Leinsdorf/BSO Britten War Requiem (US premiere: Tanglewood, 1963) this morning and can't wait to listen to it. Even later, in the mid to late 60's, the BSO still sounded great to me, but count me a neophyte about orchestral playing. Hell, I even like Ozawa's Boston recordings. A lot. Others on this forum including myself disagree about Boston under Leinsdorf, sorry to say. Of course their administrator would brag, but Munch had let the orchestra's discipline and sound quality deteriorate under his tenure, and Leinsdorf, a strict disciplinarian was left with the results. Check out Munch's commercial releases, and you'll find on most discs, other than his French releases, harsh strings, blaring brass and a general lack of tempo discipline, IMHO. Leinsdorf was able to impose a clearer sound with more discipline, but the sound remained stiff and harsh in the strings to my ears: perfect for his Prokofiev (which I like), but not so beautiful as Solti's Brahms in Chicago or Bernstein's NY. I avoided BSO recordings in my teens for that reason, even though Heifetz recorded Beethoven with them, and the orchestra sounds inspired by his playing. Thus, I blame Much for the problems. As for Ozawa, to my ears he was OK but never inspired in XXth Century repertoire, but I've heard that the orchestra was quite demoralized during his tenure, even though the players got better. Ozawa just didn't sound involved in his Romantic repertoire: his Mahler VIII is quite awful IMHO, but his Gurrelieder with McCracken and Norman is quite good, so go figure. I agree that Leinsdorf's main contribution to the BSO was restoring the quality of its playing, or much of it, that had been lost under Charles Munch. I too like his Prokofiev BSO recordings and some others, such as Berg's "Der Wein," but have never heard anything special in his performances and recordings of standard concert and operatic repertoire, which sometimes were deadly dull. To hear the extempore Charles Munch leading the BSO in just about anything is a treat, especially his exciting live broadcasts. I guess I'm a sucker for French conductors. Less so but also, Erich Leinsdorf in big choral and operatic works. Just listened to his highly charged 1963 War Requiem, as good as any I've heard, though like Ozawa he is often dissed. Whenever I wanna hear refined beauty in American orchestral playing, I'll listen to the Clevelanders under just about any conductor, including the often pedestrian FWM. Szell's Brahms cycle, Maazel's, or even Dohnanyi's. Solti and Bernstein for Brahmsian beauty and refinement? Uh-uh, though I listened to both of their cycles on LP, and was deeply moved by the earlier LB's (Brahms with the NYP) intensity and commitment to the music. Re. Solti's CSO Brahms, it's fine but CSO/Levine's packs more of an impact. De gustibus and all that! I find Levine's Chicago Brahms shallow, like most of his orchestral conducting, but that may be just me. Solti's Brahms is my personal favorite, with Lenny/NY a very close second. So be it. Frankly, I agree with you about Leinsdorf. I think he's a vastly underrated conductor, and his few choral recordings are well worth having, including a Schubert Eb Mass on Testament. His Prokofiev series of Symphonies and Concertos with John Browning are outstanding musically in spite of the orchestra's limitations. There have been better since then, but for their time they were revelatory. His Prokofiev . . .
Also his Richard Strauss. Have listened in the past two days to live Boston SO perfs from the early 60s of Ein Heldenleben, Don Quixote (Silverstein/de Pasquale/Mayes), Die Tagezeiten and the Bourgeois Gentilhomme Suite. I also like his studio Heldenleben (RCA LSC-2641, reissued on CD by JVC Japan). These performances are quite special. Notwithstanding his many detractors, Leinsdorf currently has quite a following among knowledgeable listeners on the Symphonyshare and Concertarchive forums. BTW, my all-time favorite Brahms cycle is Ansermet's, now on Decca Eloquence. 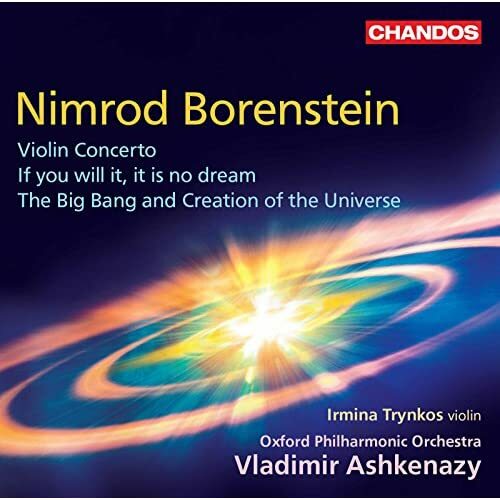 Nimrod Borenstein is a composer unknown to me before acquiring this disc, so it's been laying on my shelf unopened since its release and a positive review from elsewhere. I'm one who gives current music a chance, and I'm now glad I opened my ears to this issue. The Violin Concerto (stunningly played by Irmina Trynkos) is the main attraction here: it's a beautiful piece involving much inventive percussion that never overwhelms the heartachingly beautiful violin solo. The Big Bang and the Creation of the Universe doesn't quite live up to its ambitious title, but is well-written and demands one's attention. All-in-all, I found this disc to be vastly entertaining and absorbing. The Violin Concerto is quite a masterpiece, and Ashkenazy's involvement will definitely sell this album to many who would hesitate with a lesser-known conductor at the helm. Five enthusiastic stars. Your review says nothing about the orchestra, but I presume they're OK. I'd never heard of them either, but under Ashkenazy they sounded quite fine. Say, has anyone else noticed that we are approaching 300,000 views in this thread?? Wow! Maybe we should start a magazine! 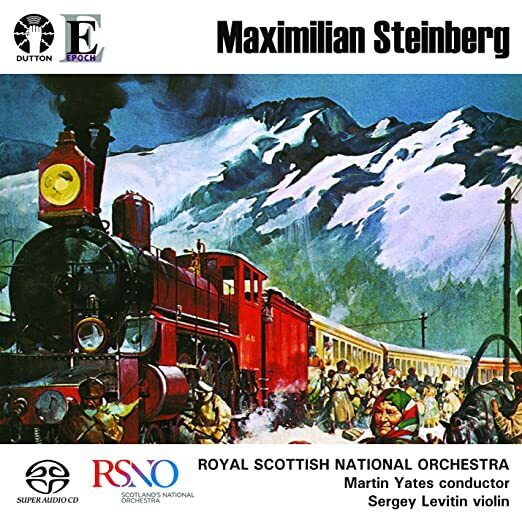 Maximillian Steinberg was Rimsky-Korsakov's favorite composer and his son-in-law as well. He was also Shostakovich's teacher (he lived until 1946, the date of composition for the excellent Violin Concerto on this disc.). Steinberg actually won a competition over Stravinsky before the Revolution; Stravinsky emigrated to the West, while Steinberg chose to stay in Soviet Russia, an unfortunate choice, as his music is only now being rediscovered and recorded. Neeme Jarvi began this mini revival with recordings of Steinberg's first two symphonies for DGG, but the project was dropped. Now we have this very fine release from Dutton, which is hard to find and available only directly from the label itself, since Dutton is now no longer distributed by Harmonia Mundi. (You can buy it on American amazon.) Both the Violin Concerto and the Fourth Symphony are excellent pieces of early XXth Century music, well worth collecting and a serious listen. The RSNO under Martin Yates play with passion and fire, while Sergey Levitin gives an excellent rendering of the Violin Concerto. Certainly worthy of your consideration, I urge you to snap up this fine disc before it disappears. Four and 1/2 stars. 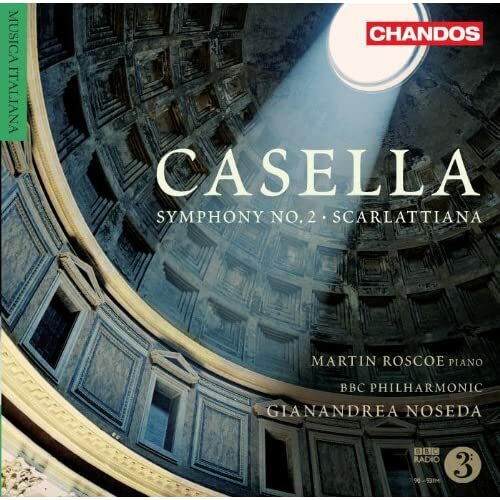 In spite of Alfredo Casella's fascist leanings, his music, which spans the two world wars, is finally receiving its due on CD, both by Naxos and Chandos. 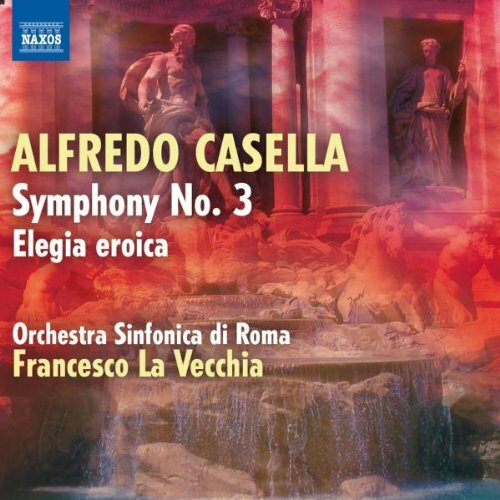 The disc above includes Casella's final Symphony III, composed in 1940, and the Elegia eroica, written in honor of Italian soldiers killed in WWI. The Orchestra Sinfonica di Roma plays with expert polish under conductor Francesco La Vecchia, recorded in first-rate sound by Naxos in 2008. The music itself is in a Romantic style, with depth of feeling and of course some dissonance, but it stands up to repeated listening and is never dull. The Elegia eroica moved me as well. If we can forgive Wagner his antisemetism, perhaps we can forgive Casella as well. His music deserves to be heard. Four and 1/2 stars. 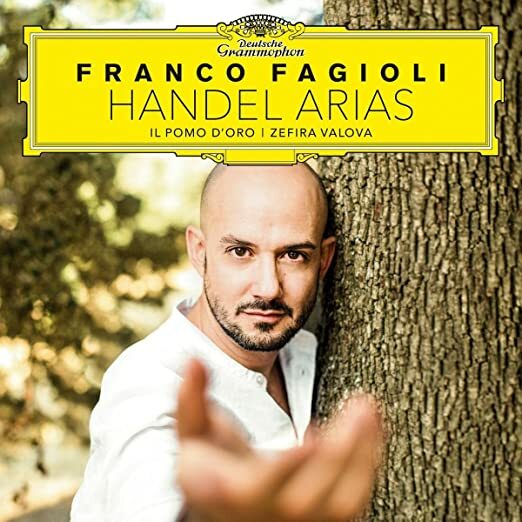 Thanks to Lance's recommendation I recently ordered this album by the stunning counter-tenor Franco Fagioli, and have listened to it repeatedly. This is a disc full of great singing, with many of Handel's greatest writing, including an Ombra mai fu.... that will bring a lump to your throat. This is what a great singer sounds like, and the listener will be overwhelmed not just by Fagioli's extraordinary technique, but his deep understanding of the text and the emotions contained therein. At 79' 50" this is indeed a generous issue that will make you rise from your chair for many years to come. Kudos also to Il pomo d'oro and Zefira Valova for providing expert preparation and accompaniment. Five enthusiastic stars! Today, I received CDs from two sources, ands I have one more to go. I got one order from Amazon of Paavo Berglund's second cycle of the Sibelius symphonies. As many of you know, I just finished reviewing his first set with the Bournemouth Symphony from the 1970's. This one is a 5 CD set from the 1980's with the Helsinki Philharmonic, and, unlike the first set, includes a performance of Kullervo, which is a choral symphony which came before the First. The rest were all from Berkshire Record Outlet. First, the sets--a Memories Beethoven Symphony cycle by Pierre Monteux with various orchestras. The main reason I bought it is because it contains a performance of the 4th symphony with the NDR Sinfonieorchester Hamburg from OCT 1960 which I heard once on WFMT in Chicago. 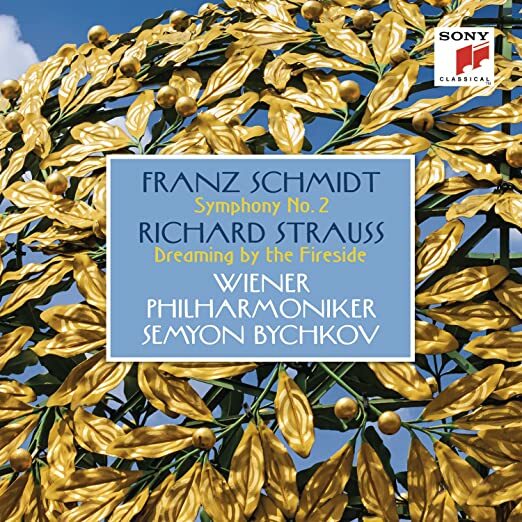 I remember it as being objectively inferior to his later recording with a better orchestra, one of my two favorites of this work (the other favorite is the Klemperer). But, though the performance was inferior, it was because this orchestra was then a very provincial ensemble, not up to the standard it was later to achieve. And you could just hear the excitement on the stage. These musicians were working their hearts out for a great conductor, who was inspiring them to a quality of performance they had never suspected they had within them. It was exciting to hear, and I want to listen to it again and have it available whenever I want to hear it. The 1st is with the Vienna Phil, 2, 3, 5, 6, & 9 are with the Boston Symphony, 7 is with the NBC Symphony, and 8 is with the Los Angeles Philharmonic. Then I have a 2 CD tahra set on Monteux performances with the Concertgebouw Orchestra. It includes a complete concert from 24 NOV 1963, two days after the assassination of President Kennedy and it begins with a performance of just the Marcia funebre from Beethoven's Eroica. Then, Berlioz's Harold in Italy, and finally, a Brahms First Symphony. Then, after that, is a performance of the Dvorak Cello Concerto with Rostropovich, from 3 NOV 1960. The last set is a 2 CD release from Music & Arts of 4 Mozart piano concerti by Robert Casadesus. The ensemble is identified only as "National Orchestra," whatever that is. #21 with Lovro von Matacic, #23 with Jean Martinon, #24 with Pierre Monteux, and #26 with David Zinman. Now, onto the single records. Several also involve Monteux. One is a tahra CD featuring Couperin's La Sultane, and a Beethoven Ninth with the Orchestre National de la RTF with Maria Stader, Helen Bouvier, Libera de Luca, and Josef Greindl. 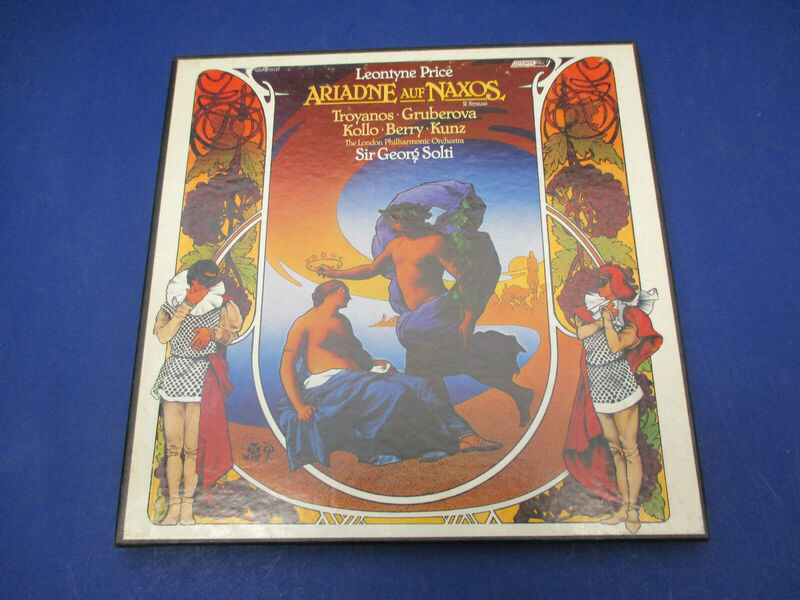 Another is from the Guild label which features 2 violin concerto recordings by Leonid Kogan. One is the Brahms concerto with the Philharmonia Orch. conducted by Kiril Kondrashin, and the other is the Khachaturian concerto with Monteux and the Boston Symphony. Another CD contains performances by Marian Anderson. A Brahms Alto Rhapsody with Fritz Reiner and the RCA Victor Symphony, Mahler's Kindertotenlieder with Monteux and the San Francisco Symphony, 7 Schubert songs from 1951, and 4 more from 1947, all with pianist Franz Rupp. Then I have a Nathan Milstein CD on a label called Vermillion. The Brahms concerto with Monteux and the Concertgebouw, the Goldmark concerto with Bruno Walter and the "philharmonic symphony orchestra," whatever that is, and 2 Mozart concerted pieces, the Adagio K. 261 & the Rondo K. 373 with the RCA Victor Symphony and Vladimir Golschman. And lastly, I have two harmonia mundi CDs featuring the pianism of French speaking Swiss pianist Frank Braley--one a CD of 3 Beethoven piano sonatas, the Moonlight, Appassionata, and #31 and another of Mendelssohn works--the Octet, two short works for cello & piano, and Albumblatt, Op. 117 for solo piano. I have another order pending with Amazon, the last two volumes, 11 & 12, in the BIS cycle of the solo piano works of Edvard Grieg. I already have Volumes 1-10. After hearing an exquisite sonata for harmonium and piano by Adolphe Blanc (1828-1885), a French composer, I had to find more. There's not much. He wasn't considered on a par with other composers of the period yet his music is original and highly entertaining. Having high interests in this time frame, wanting to hear more seems natural. I would still like to hear more; he wrote a great deal of music. That's the New York Philharmonic-Symphony Orchestra as it was then known, probably in the concert performance of November 1, 1942. They also performed it in 1933 but that's less likely to have been recorded off the air. I have both versions of the Rhenish and, FWIW, I like both of them for different reasons. Tennstedt's interpretation is very warm yet disciplined, and he manages the balances between instruments very well. OTOH, I'm fascinated by Roy Goodman's sound world, even if his tempi sound a bit faster than Tennstedt. I put the difference down to the nature of the instruments involved (Goodman's HIP band is a bit thinner than Tennstedt's full-scale orchestra.). TY, John, for the information on the Vermillion CD. 2) A 3 CD set from Alpha Classics of the complete concerted works by Edouard Lalo. Its one of those luxuriously produced quad-fold booklet affairs with a good, detailed booklet. Jean-Jacques Kantorow conducts the Liege Royal Phil., with 4 violinists, a cellist, and a pianist, none of whom I have ever heard of before, who are identified as "Soloists of the Queen Elisabeth Music Chapel"--Queen Elisabeth of Belgium, that is. 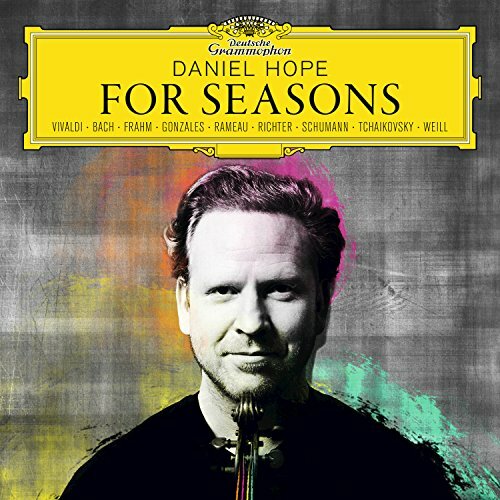 Daniel Hope is an artist that has flown beneath my radar until this disc was recommended to me, and frankly I plan on adding more of his inventive playing to my collection soonest. His rendition of Vivaldi's Four Seasons that opens this recording is amazingly good, showing how far HIP has progressed. The individual bon-bons that follow, some in arrangements made specifically for this recording, show a fine 21st century musical intelligence at work. This generous disc is a keeper, one of the best and finest releases I've heard in a long time. Five enthusiastic stars! Last edited by maestrob on Mon Mar 05, 2018 3:11 pm, edited 1 time in total. maestrob wrote: I have both versions of the Rhenish and, FWIW, I like both of them for different reasons. The Baltic Chamber Orchestra has mastered the music of the XXth Century, according to their amazon list of recordings, which range from Bartok to R. Strauss. 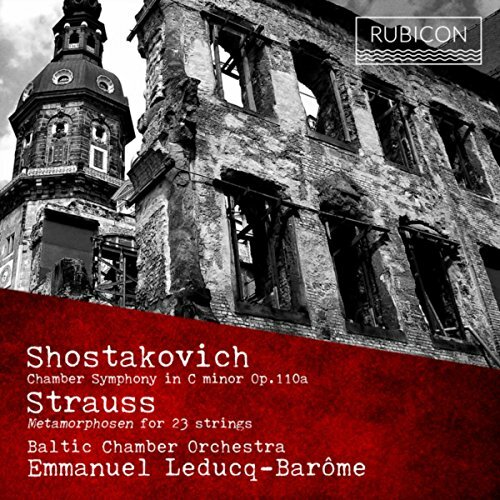 Not a wide-ranging ensemble then, but a highly accomplished one, judging by this recent release of Shostakovich and R. Strauss. Emmanuel Leducq-Barome offers deep insights into the Barshai arrangement of Shostakovich's Eighth Quartet, and skillful ensemble blending in Richard Strauss's enigmatic Metamorphosen, both pieces chosen to highlight the first-rank playing of the group. The recorded sound is exactly suited to these somber works, and the playing is spine-tingling, especially in the Shostakovich. One could wish for, perhaps, the Prokofiev Visions fugitives to fill out this disc, or perhaps the Tchaikovsky Serenade for Strings, but hopefully they're in the pipeline. A very rewarding listening experience. Five stars. 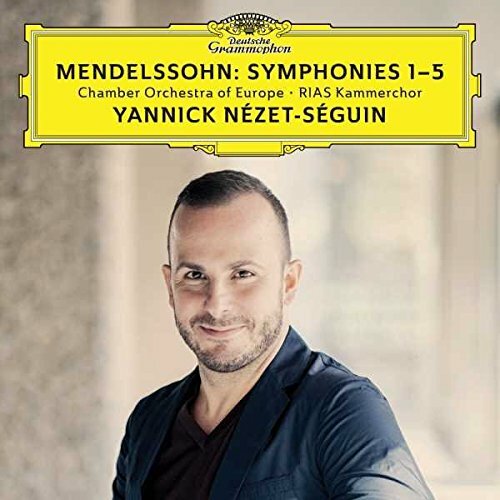 This new set of Mendelssohn Symphonies led by Yannick Nezet-Seguin leaves me wanting more depth, frankly. It's easy to render Mendelssohn as a lightweight composer, but only in Symphony V does it feel like the conductor is probing the music. The Chamber Orchestra of Europe provides clear incisive playing, balances are good and the pacing (a hallmark of Nezet-Seguin's music-making) is airtight. Yet compared to the recent set with Claudio Abbado, I find that the Canadian conductor's approach is generally shallow, a trap easy to fall into with Mendelssohn. The chorus and soloists are exemplary. So, this set gets 3 1/2 stars, while Abbado gets four 1/2. Addendum: After living with this set for a while, I've come to appreciate it more than my initial impression. Listening more carefully, I've decided that this set, while not quite as idiomatic as Abbado's, should receive four stars. My favorite is still Masur/Leipzig, btw, but Nezet-Seguin deserves far more credit than I originally gave him with my too harsh review. Last edited by maestrob on Fri Apr 06, 2018 12:13 pm, edited 1 time in total. Brian, right on target with me. That Schubert Mass No. 6 in E-flat is, for me, unrivaled on Testament . No question the star soloists contribute, but St. Hedwig's Choir and the BPO never sounded better. It is the most inspiring recording of this work I've ever heard. I've also long enjoyed the Prokofiev piano concertos with John Browning [Testament 1376], since released on the complete RCA recordings of John Browning , the latter of which apparently isn't available in the US at the moment. It was my distinct pleasure to work on Browning's piano in concert and to enjoy a great dinner with him whilehe carried his obedient little dog with him into the restaurant in a covered basket. The dog never made a peep! [... ...]Frankly, I agree with you about Leinsdorf. I think he's a vastly underrated conductor, and his few choral recordings are well worth having, including a Schubert Eb Mass on Testament. His Prokofiev series of Symphonies and Concertos with John Browning are outstanding musically in spite of the orchestra's limitations. There have been better since then, but for their time they were revelatory. 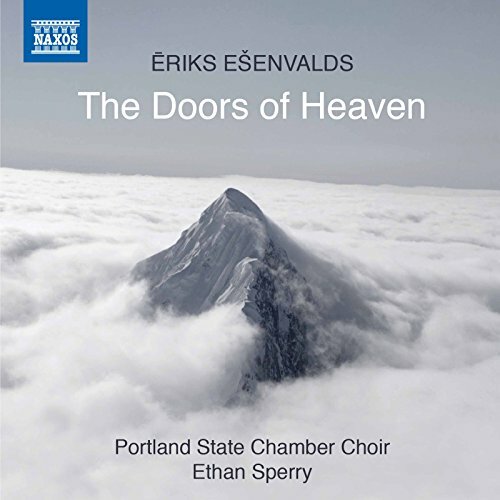 The Doors of Heaven is one of the most significant choral discs I've heard, especially in contemporary music. Don't be put off that it's sung by a college choir: there is more meaning in these pieces than many professional choirs manage, as ably prepared and directed by Ethan Sperry. Reading online, I've seen that the Portland State Chamber Choir program (in Oregon) is exemplary, as this recording attests. Eriks Esenvalds has compiled a series of titles for choir, soprano & baritone soloist and string orchestra that moved me deeply, with never a dull or repetitive moment. Five stars. Ture Rangstrom (1884-1947): Complete symphonies (4) + Dityramb (17'13) +Varhymn (8'02 + Intermezzo drammatico (16'25)--Michail Jurowski, cond. Norrkoping Symphony Orch.--3 cop CD set. Gaetano Donizetti (1797-1848): String Quartets 1-3 (55'19)--Pleyel Quartett Koln--cpo CD. According to the Wikipedia article on the composer, Donizetti wrote 19 string quartets, so this is just a beginning. Franz Lachner (1803-90): Konig Oedipus: Bühnenmusik zur Trgodie des Sophocles (Incidental Music for the Tragedy by Sophocles. (79'23)--audite CD, Jorg-Peter Weigle, cond., Munich RSO and Mens Choir. To audite, it apparently is so inconceivable that anyone who is not a native German speaker could possibly be interested in Franz Lachner, that they have abstained from the usual practice of printing liner notes in multiple languages. No English, no French, no Spanish, no Italian, just German. Sigh! Franz Lachner: Mass in F Major, Op. 130 for soloists & 2 choirs (30'14) |Stabat Mater, Op. 154 for soli and 2 choirs |The 15th Psalm for couble choir (5'26)--Gerd Gugllhor, cond., Orpheus Choir + SATB soli.--Oehms CD. This album does have some English language notes. Kudos, Oehms! Recordings beautifully remastered. The booklets are full of information. I must say the biggest surprise from me was pianist MARIAN FILAR who went through the horrors of the Holocaust, lost lots of family, survived SIX concentration camps. Ended up studying with Walter Gieseking who helped him enormously to become a concert artist. The man ended up in Wyncote, Pennsylvania where he passed away at age 94. I wish I had known about his work as I would have traveled to meet him and have an interview. Otherwise, two LP recordings he made for American Colosseum did not last long, nor did the company who produced them by a fellow Polish man. Arthur Foote (1853-1937): Complete solo piano music.--Kirsten Johnson, piano. 3 CD Delos set. Malcolm Arnold (1921-2006): The complete Conifer recordings on 11 SONY CDs. All of the symphonies, all the concerti, numerous other orchestral works. Vernon Handley conducts most of them. I have some of those original Conifer releases: it's good to know that Sony has released them again. I may get the complete set if it's a bargain. Thanks for the tip-off! Alfredo Casella's music is only recently being rediscovered, having languished since the early part of the last century due to his fascist leanings during WWII. Both Chandos and Naxos have recent releases of his Symphonies and other titles: the above is one of the best available on either label. 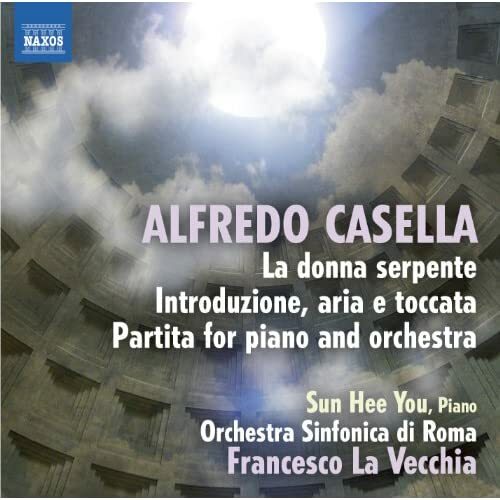 Conductor Francesco La Vecchia leads the Orchestra Sinfonica di Roma in this release, with Korean pianist Sun Hee You appearing in the Partita for Piano & Small Orchestra, which was quite often played by the composer and a popular piece in its day (1925). Other world premiere recordings on this disc include the Introduzione, aria, e toccata, and the Orchestral Fragments from his opera La donna serpente (Op. 50). composed in 1928-31. All are excellent pieces well worth your while. If you like Respighi, you'll enjoy this fine disc. Five stars. I checked @ Amazon, and found quite a few recordings of Casella works by Francesco La Vecchia. What's that I smell in the air? Maybe a big box is in the offing? I think I'll wait. Elizabeth Brauss appears here in her debut recording, winning an Editors' Choice Award from Gramaphone, and I agree. Her Beethoven (Sonata VII) is exemplary, her Prokofiev (Sonata II) sparkles, her Chopin has all the right feelings in it, and her encore is a masterful "Etude de couleurs" by composer Michael Denhoff, all beautifully recorded by Oehms Klassik, and, so far, not available on amazon, so you'll have to go to England to find this rare bird. Brauss is a fully mature artist with hidden depths, and I frankly cannot wait for further recordings from her. Keep a lookout! Five stars. 1) Gordon Getty (b. 1933): Overture "Plump Jack" (12'10) |Ancestor Suite (34'02) |Tiefer und Tiefer (4'12) |Homework Suite (6'09) |The Fiddler of Ballykeel (3'02) |Raise the Colors (2'34)--Neville Marriner, cond., ASMF. 5) Sergei Taneyev (1856-1915): Cantata 2, Op. 36 (1914-15) At the Reading of a Psalm" (69'01)--Mikhail Pletnev, cond., Russian National Orch.+ 2 choirs and SATB soli. Franz Schmidt was a violinist in the Vienna Philharmonic who played under Gustav Mahler among other great conductors of the period, and a composer in his own right. The VP introduced Schmidt's music, especially his Symphony #2 as presented on this excellent CD led by the vastly underrated Semyon Bychkov. The symphony is lush and Romantic, as you would expect, and very pleasing to the ear in spite of its inventiveness. For those who love R. Strauss, the perfect encore here presented is the short piece "Dreaming by the Fireside." While this CD presents fine music, expertly presented, there is no lack of drama in the Symphony, which earns four stars from your reviewer. This is a real gem of a disc from Finland, ostensively one of the happiest countries on the planet right now. Unfortunately, you'll still have to go to Europe to acquire this recording, as it's not available on amazon. Conductor Hannu Lintu is just getting started on disc, with a fine set of Sibelius Symphonies, according to reviews. Here is a sampling of Sibelius's other orchestral works, with Tapiola and En Saga well-played by the Finnish Radio Symphony Orchestra. The real highlight of this disc is Anne-Sofie von Otter's rendition of eight songs orchestrated by the composer in touching arrangements. Highly recommended for authenticity and superb sound as well. Four and 1/2 stars. 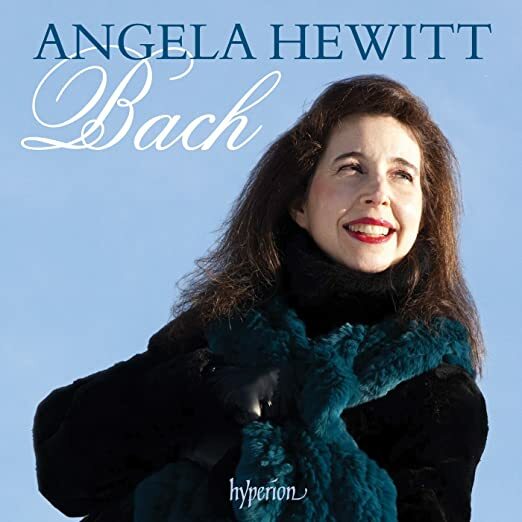 Judging by this generous box set from Hyperion, Angela Hewitt is one of today's major performers of Bach's keyboard music. Here we have her complete Bach recordings to date (the set was released in 2010 and just recently discovered by your author), which show mastery of the highest order. Hewitt displays real sensitivity: nothing stands still, the music's always plunging new depths and has meaning attached to every note. In this release of 15 all-Bach discs, with a bonus disc of Hewitt in other repertoire, Hyperion includes a complete Well-Tempered Klavier on four discs, the Goldberg Variations, the French & English Suites, the Toccatas, and and an amazing selection of individual works, played with great attention to detail. As you will hear, Hewitt clearly has her own very effective ideas that make you sit up and take notice. Still available on amazon for roughly $50, this set is a true bargain. Five enthusiastic stars! Johann Nepomuk Hummel (1778-1837) pre-dates Chopin by a bit, and, judging by the quality of this music, influenced him by more than a little. 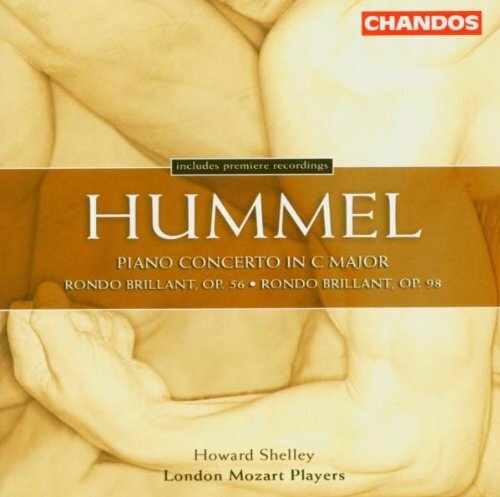 Played by Howard Shelley, one of my favorite pianists, the music on this disc shines and sparkles, ably aided and abetted by the London Mozart Players, led from the keyboard by Maestro Shelley. This is truly fine music, given depth and meaning by these sensitive and virtuoso performers. The two Rondos Brillants are new pieces to these ears, and they well deserve recognition that this recording, in excellent sound, brings them. Lovely music, lovingly presented. Five stars. More Casella! Here we have the Second Symphony and Scarlattiana, an old favorite. Casella studied with Faure in France, but one notices little of the French influence in the Second Symphony. Actually, Casella had helped arrange for the premiere of Mahler's Second Symphony in France, and there is more of that composer's influence in Casella's symphony than Faure. OTOH, Scarlattiana is a lighter piece (composed in 1926), played to perfection here by Martin Roscoe with the BBC Orchestra. Gianandrea Noseda leads the BBC Philharmonic here in a pair of superb performances: this is a very special disc. Five stars! (Note: There is also available a very fine performance of Symphony II on Naxos.) Casella's time has come, it seems. 1) A passacaille CD of recently discovered early organ music by Giacomo Puccini. The organist is Liuwe Tamminga. Puccini himself was an organist and played it for a living before he moved to Milan at the age of 22 in churches in and around his hometown of Lucca. 25 Sonate, Versetti, Marchie & Valzer. TT: 70 min. The CD is an excellent production--not a traditional jewel box, it is one of those fold out hard cardboard booklets with a 40 page booklet (counting front and back cover as pages) in a little sleeve. 2) A NAXOS CD featuring pianist Fabio Bidini and JoAnn Falletta and the Buffalo Philharmonic in another CD of music by Marcel Tyberg (1893-1944)--his Symphony 2 and his Piano Sonata 2. 3) A Melodiya CD of music by Alexander Lokshin. Symphony 5 "Shakespeare Sonnets" (1969)m settings of two of the sonnets translated into Russian, interestingly enough, by Boris Pasternak. (14'55) |Quintet for clarinet and string quartet (1955) (22'58) |Variations for Piano (1953) (24'53). 4) Grazyna Bacewicz (1909-69): Overture (1943) (6'22), Cello Concerti 1 (1951) (21'52) & 2 (1963) (18'36), (TT: 46'51). DUX Records. 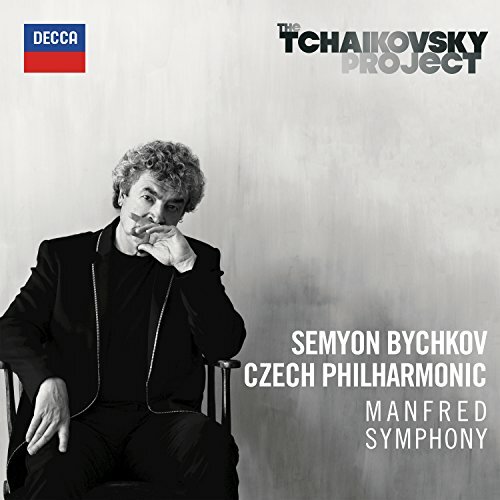 This excellent recording of Tchaikovsky's Manfred Symphony, with the Czech Philharmonic ably led by Semyon Bychkov, has at its heart one of the world's great orchestras. Bychkov's reputation for first-rate music-making is not compromised here, but I find his reading a bit tame compared to Ormandy, Muti, and Vassily Petrenko. The Czech Philharmonic could be a bit more passionate, but they play with discipline and careful attention to detail. The sonics are also impressive, which for some will make this a great recording. Four stars. The Maltise tenor Joseph Calleja began his career singing lighter roles and, as his voice has grown, is now singing more dramatic Verdi roles on stage. He is very well thought of for the depth of characterization in his roles, as well as his formidable technique which here allows him to produce a magnificent diminuendo on the final note of "Celeste Aida," as well as subtle effects in other music on this excellent disc. My only objection here is the inclusion of Angela Gheorghiu as Desdemona in the love duet from Otello: she's clearly not up to even the lightest part of this demanding role. Calleja's singing is, however, exemplary, although I'm not sure I would cast him as Otello quite yet on stage. 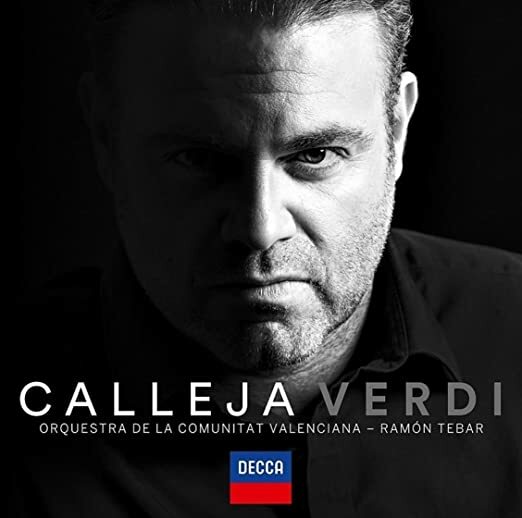 Baritone Vittorio Vitelli makes a fine partner in the "Si per ciel..." duet (and in his other appearances), and the conducting by Ramon Tebar with the Orquestra de la Communitat Valenciana is first-rate, with only one decision in the Don Carlo duet I don't agree with. So for Calleja's singing, I give this CD five stars, with my objection to Gheorghiu's Desdemona noted. Manfred Honeck, in taking the helm in Pittsburgh, has shaped that orchestra into a very fine ensemble, and has produced some very fine recordings with them, notably his Richard Strauss Elektra/Rosenkavalier disc reviewed earlier in these pages. 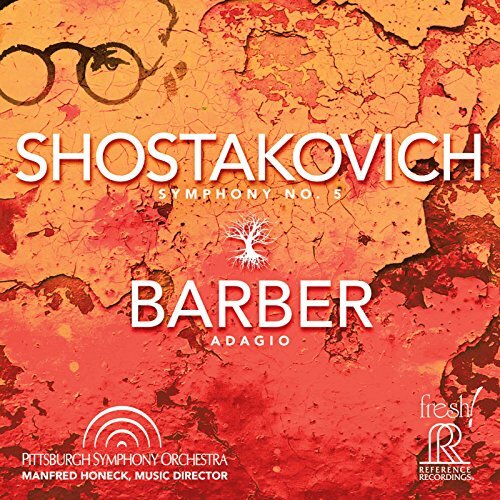 This disc of Shostakovich and Barber is not one of them. The sound is exceedingly wide-range, recorded live, and in the quietest sections (beginning of the Barber and the Third Movement of the Shostakovich) there is no body in the strings, making the music almost inaudible. Also, strangely, in the opening of the first movement of the Shostakovich V, the cellos make an unwanted appearance in the left channel! Thus, there is a slackness, a lack of tension that is sacrificed for the sake of beauty that simply does not work for me. This is not the orchestra's fault, it is definitely up to the conductor during preparation to make these decisions, and the orchestra follows along diligently. Result, dead and deadly music-making. Honeck's conception of the Finale to the Shostakovich doesn't work for me either: tempi meander all over the place, leading again to a collapse in musical tension. Just not my cup of tea, then. Three stars, and that's being generous. Instead, I recommend Bernstein or Mravinsky, even Oleg Caetani for those who want the highest fidelity sound. Boris Giltburg has become a prolific and well-respected recording artist on the Naxos label in recent years. 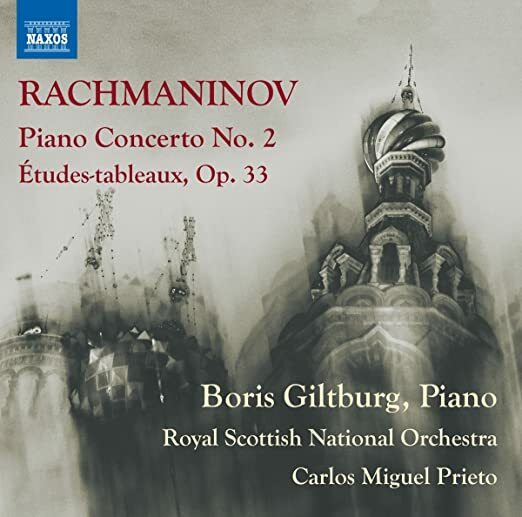 This recording of Rachmaninoff's Second Piano Concerto, unfortunately, lacks a conductor of similar stature, and it shows. The performance lacks the energy of Giltburg's solo work: the tempo of the second movement is entirely too slow, lingering here and there while the bottom drops out. Same with moments in the first movement. The third movement fares better, but I wish the conductor (Carlos Miguel Prieto) loved the music more. Sadly, this performance did not work for me. Giltburg's playing is quite good, but he's stuck with a mediocre conductor, so the result is quite disappointing and routine, to say the least. Giltburg's solo work in the Op.33 Etudes-tableaux is exemplary, which saves the disc from obscurity on my shelves. Nevertheless, the concerto is the main piece on this recording, which is awarded three stars from your reviewer. The attraction for me to this CD is not the Sinfonia Antartica by Ralph Vaughan-Williams, but the rarely performed Concerto for 2 Pianos and Orchestra, here played by the fine pair of Louis Lortie (famed for his excellent Chopin on Chandos) and Helene Mercier. Led by Sir Andrew Davis, these musicians are in their element, and the very fine Bergen Philharmonic with its transparent sound do the music justice. 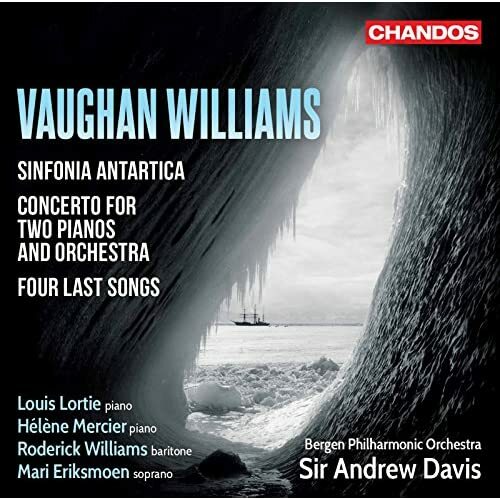 Sir Andrew also leads a sensitive performance of the Sinfonia Antartica well-recorded in Chandos's top-notch sound. The Four Last Songs are well interpreted by baritone Roderick Williams. This is a disc worth having, although I miss the spoken introductions to each movement in Adrian Boult's recording. Very fine indeed. Four and 1/2 stars. Just arrived in the mail yesterday, Tuesday, 15 MAY 2018: The 14 CD DECCA collection of Arthur Grumiaux's Mono recordings. The Grumiaux/Galleira recording of the Beethoven Violin Concerto has been my favorite recording of that work from the first time I heard it. But I remember someone in one of the CM forums (I think it was CMG) telling me that his mono recording with Beinum was even better. It was not available at the time, but it is in this set, the first performance on Disc 1, in fact. I bought this set mostly for that performance. But the box contains lots of other goodies, too. Among them, a complete set of the Beethoven violin sonatas with Clara Haskil, the two Bach Violin Concerti, all the Mozart violin concerti, the Tchaikovsky & Mendelssohn concerti, Lalo's Symphonie Espagnole, Saint-Saens 3, & Bruch 1. When I first began getting records of my own, the top choices for the Beethoven violin concerto (and later the Brahms) were Grumiaux with van Beinum and Milstein with Steinberg. Since I'd seen van Beinum and the Concertgebouw Orchestra in concert, that's the one I chose for both concertos, and I'm still very happy with them. Haven't heard Grumiaux/Galliera but doubt it can be better. I also have the Milstein/Steinberg/Pittsburgh recording coupled with the Brahms, and its an excellent recording. My very first recording of the Beethoven, though, was the Oistrakh/Cluytens. Last edited by jserraglio on Fri May 18, 2018 5:23 am, edited 1 time in total. I haven't bought any recordings for years and don't expect to. I have more than enough already, indeed my project now is to dispose of what I've got. There are plenty of new CM experiences online from YouTube and services like Spotify, not to mention live performances where I live, so there's no need.